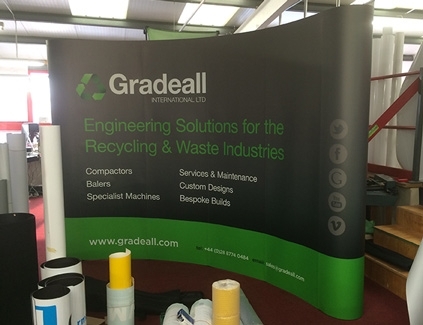 By far the most popular display option for exhibitions and indoor shows are Pop-Up displays. Incredibly easy and fast to both build and take down, pop-up displays are available in a range of size and shape configurations. They are perfect for any exhibition. Unlike most of the pop-ups on the market, all ours are constructed from strong, yet lightweight aluminum frames, secured by a magnetic locking system. The Advantage is our most popular system and while it's our cheapest option, it comes packed with extras such as Counter top, wheeled carry case and lights! The Advantage comes in two setups as standard - 3x3 & 3x4. Flexibility is the key with The Supremacy. 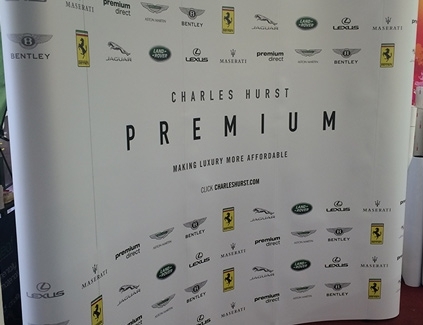 Available in straight or curved frames, it can be added to and configured, to suit almost any floor space or event.